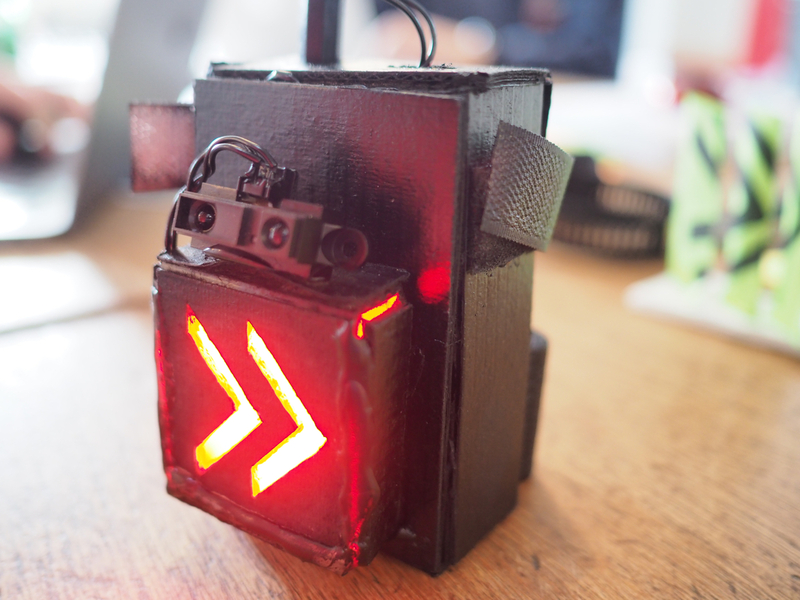 A rear light that uses a sensor to warn drivers if they're trying to pass too close to a cyclist. Cyclists not feeling safe on the road and drivers not being aware of the space needed and required by cyclists. 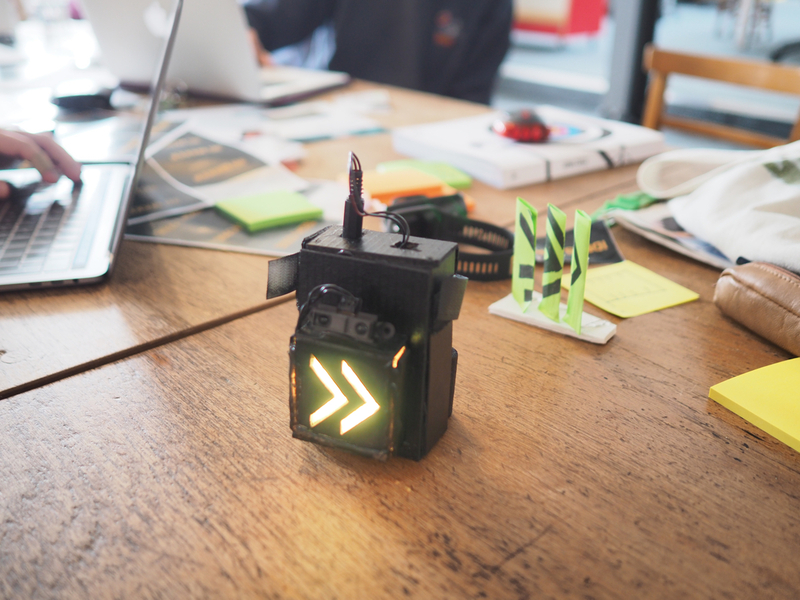 We created a rear light that warns drivers if they're trying to pass too close to a cyclist. We used an Arduino and an infrared proximity sensor along with a cardboard casing and LED lights. 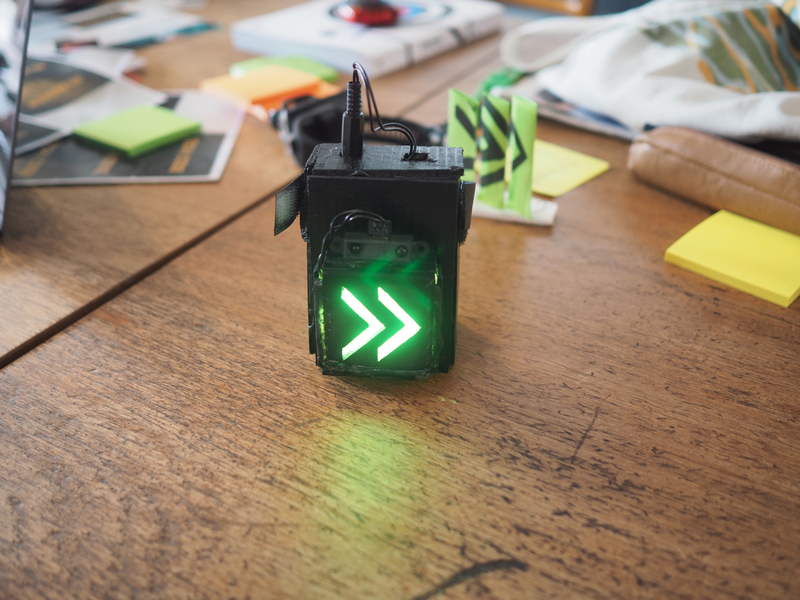 The sensor we're currently using is not powerful enough to get the full effect but we believe the prototype really shows off the potential. The feedback from cyclists and drivers about our prototype was positive. Many people said they would like to see a fully working, smaller version.